Today’s very early Nintendo Direct, dedicated to Pokemon X and Y, had some very big announcements. First off, Game Freak started the Direct with the announcement of Pokemon Bank, which is an application that allow players to store their Pokemon online. 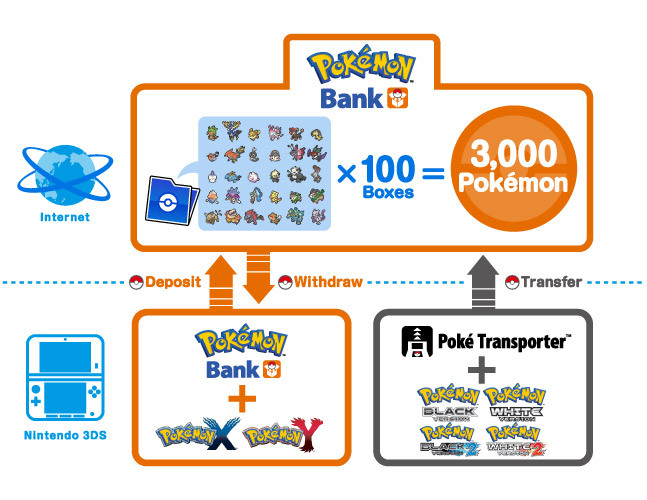 Pokemon Bank contain 100 boxes and allow players to manage 3,000 Pokemon. The Pokemon Bank makes it noticeably easier for people with both versions of the game to transfer Pokemon from one game to another without the need for two systems. Along with Pokemon Bank, the Poke’ Transfer application was also announced, which allows players to move their Pokemon from either Pokemon Black, White, Black 2 and White 2 to online boxes. While this a great service and addition to the Pokemon games, it should be noted that the Pokemon Bank will have an annual charge in order to keep the servers running. Pricing has not been announced yet. Some details of beginning your journey in Pokemon X and Y were announced today as well. Players will get to choose two starters at the start of their game. One of the player’s friends in the game will let them choose one of the new starting Pokemon (Chespin, Fennekin and Froakie), while the new Professor will offer the player one of the three original starters (Bulbasaur, Charmander and Squirtle). The three original starters’ final evolution will have Mega evolutions as well. 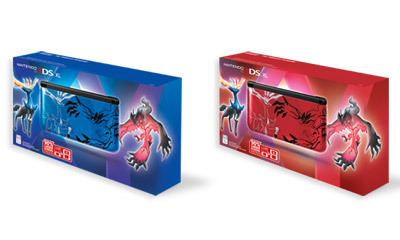 Last announcement for the day was the special edition blue Xerneas and red Yveltal 3DS XL coming out on September 27th. However, these special edition 3DS will not come with a copy of Pokemon X and Y. A big day for Pokemon fans and all the great announcements are sure to make the anticipation for October 12th all the more agonizing. Previous PostRayman Legends Vita Is Missing LevelsNext PostXbox One Release Date Announced.